I don’t think I’ve ever received as many hugs in as short a time as I did during a 48-hour period last weekend. I went to Edgerton, my home town, for a book tour with mom and my sister Allyn. Mom and I weren’t the stars of that show; Allyn has kept in touch with many people and has some really close friends who are her cheerleaders. They became our cheerleaders too. But all of us, including those of us not there as pen-wielding celebrities, but rather as supporters, got a huge dose of Home Town Pride, and it was nice to be a small part of that pride. We were sitting at breakfast the first morning, already happy to be together and sharing laughs when my nieces walked into the restaurant. They flew in from Texas to surprise grandma and grandpa—arriving at 3 a.m. the previous night after a grueling flight on a cheaper airline. Once I saw them, I knew that—no matter the results of our book events—the weekend had just become something I’d never forget. 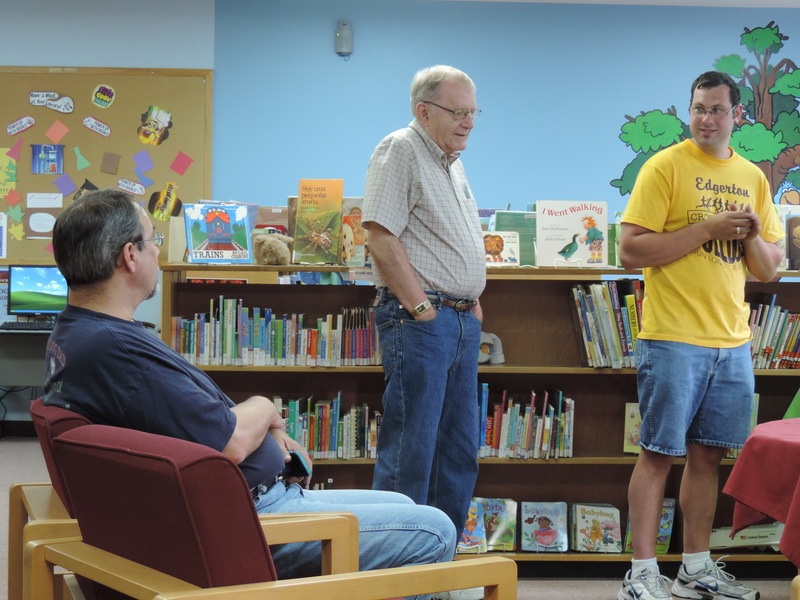 Our high school English teacher Richard Smith came to the Edgerton Public Library signing. I am quite certain I never hugged Mr. Smith in high school. Hugs were not so plentiful in those days. But neither Al nor I could help ourselves when we saw him. He is the teacher that got us interested in words. He laughingly explained he doesn’t read fiction (though he read our first book) anymore because his life was so consumed by it when he was a teacher. But he still has that delicious acerbic wit that delighted us as teenagers so much that we paid attention to him in class. Verna Wortkoetter, the friend mom has remained closest to, not only had the clan and some old neighbors over for lunch, she invited some of mom’s old sorority sisters. The gesture was especially thoughtful because Verna was not part of that club. But she knew how important it was to mom, and she knew they’d all soon be trading memories of the parties they had and what had happened to the rest of the crew. I believe my nieces got a taste of grandma’s (and grandpa’s) wilder days by listening to the stories. My husband saw his first parade, and (as I expected) instantly transformed into a kid. He kept himself from scrambling into the street after candy, but it couldn’t have been easy. All of us choked up when grandpa struggled up out of his chair to sing the star spangled banner word for word. Alzheimers has nothing over patriotism! God seemed to be smiling down on the whole weekend as the weather, which is usually hot and humid and miserable this time of year in Ohio, was gorgeous and sunny and cool. The number of people who told us they were proud of what we’d done was incredible. It just kept coming and coming from old classmates and neighbors and friends of friends. One of the signings we had was at Susan’s Hair flair right downtown Edgerton in the building that used to house the Edgerton Public Library. As I looked around at that building, I realized that it all really began there with mom pushing us all to learn to love books. Here it was, 50 plus years later, and we were back, signing books we had written ourselves. Thanks Mom, for getting us started on this path. When people ask me who I am―not as in “what’s your name” or even “what do you do for living”―but more like: what is the essence of Genilee? I often say, “a small town gal.” That generates a lot of raised eyebrows and scratched heads. Although half the population of the U.S. lives in a municipal unit of less than 25,000, people from cities as big as where I live now—the DC area―do not understand what I mean. This is partly because many of those “units” in this area of the country are suburbs. But I was raised in what is traditionally thought of as Small Town USA complete with a main street, a gazebo and railroad tracks. The biggest controversy to hit my town (Edgerton, Ohio) when I was a newspaper reporter there was the moving of the town’s statue from the intersection of two busy state roads to the park. 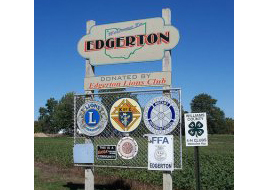 I am proud of coming from the village of Edgerton, where I graduated in 1972 with a record whopping 70-plus classmates. And I offer condolences to those who did not have this upbringing. This is because one of the things I’ve decided is that small towns can be good for the psyche. How did I learn this wondrous fact? By having two best friends who decided to go into psychology. Going through life with two friends in this field has presented some interesting challenges and discussion. These are two of the people I love the most—strong women with strong opinions, dedication to their field. But to have friends that have made psychology their passion requires getting past the point of feeling like you’re being analyzed. I did. And I listened as they discussed fascinating concepts and experts they’d studied and shared real-life stories about people with issues. All of these talks have showed me how very un-crazy I am, and I credit at least part of that sanity to a simple upbringing. Don’t get me wrong. I know that there are plenty of people with psychological problems that live in small towns. But the few I remember from growing up in my area of the world were taken care of by their neighbors. The main difference I see in people who are city-raised as opposed to village-raised is tolerance. There’s a give and take to small towns that I don’t see in city people. I suspect this has to do with the simple reality that when you have fewer people surrounding you each day, it’s harder to just ignore someone who rubs you the wrong way. You learn better and quicker how to adjust. When you grow up amid thousands of people in a city, you can insult someone to their face, then never see them again. When the number of people in your school and your town is limited, I think you become more accountable for everyday actions and how they’ll affect your relationships going forward. I know this is an idealistic view and that there are many other factors that affect my mental health, but when it comes to my hometown, I will fully admit to wearing rose-colored glasses. And if those glasses are not fashionable, I don’t care, and I know the people back home in Edgerton won’t care. They’ll accept me anyway. 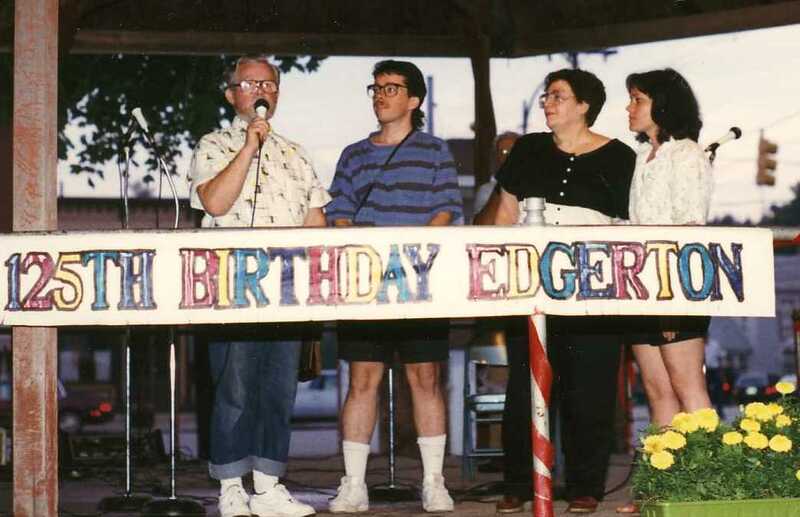 Despite the fact we haven’t lived in our hometown for years, Edgerton remains a deep part of who the Swope family is. For that reason, we’re going back there this summer carting boxes of books and hoping to meet up with some of the best supporters we’ve had. Allyn’s current connection with the hometown runs deepest because she has family there from her marriage to Brad Stotz. For those of you who don’t know that name, Allyn Stotz is my sister, a children’s book author (www.allynstotz.blogspot.com) who will be carting boxes of The Pea in Peanut Butter and the recently released Kailee Finds Magic IN Words with her to Edgerton. Allyn has kept in contact with many of her friends from high school and made some new ones in the years since she and Brad moved to Louisiana. Allyn, Mom and I all feel strongly that Edgerton is part of who we are, and we often talk about what a wonderful environment Edgerton provided for our family. 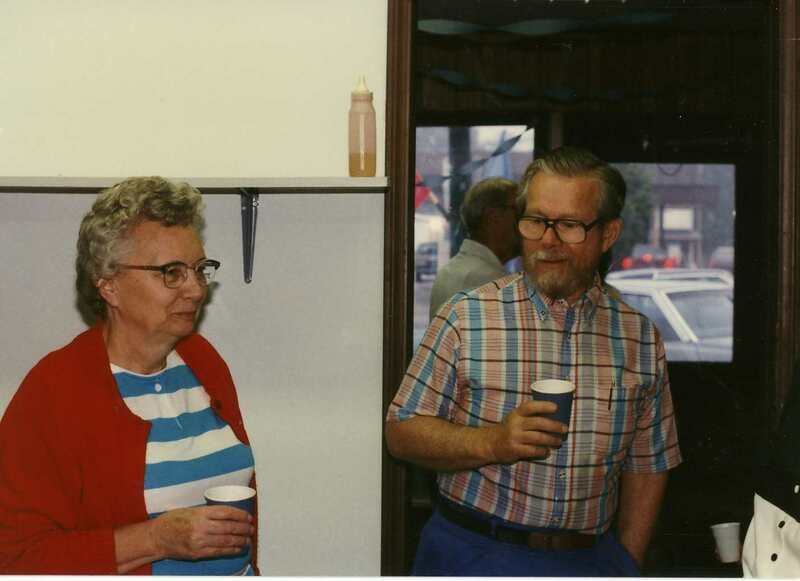 Mom was a substitute teacher there and wrote a local column for the newspaper that my dad ran (the Edgerton Earth). I developed a nucleus of high school friends so strong that when I celebrated my 60th this year, my husband invited a couple of them to travel great distances so that I can have a truly wonderful surprise. I have tried to reconnect with some of my friends from the awesome years of high school through facebook and to follow what’s happening with some of the other people of Edgerton. Many of the good people of Edgerton have already bought our books and wrote to cheer us on. 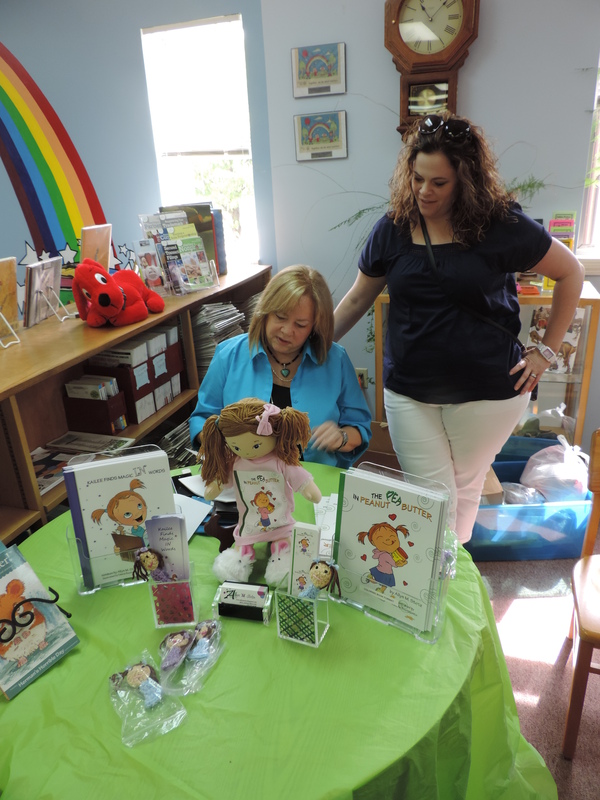 Allyn had a book signing and reading when The Pea was released. Still, we’re all packing up the cars and heading that way, dragging not only boxes, but our husbands and Mark, a major supporter for Allyn and for us and a researcher for Mom and I (not to mention our dearly beloved brother/son). Mom is 86; dad is 88 and ailing from Alzheimers. Mark, Allyn and I are still young enough NOT to want to mention how very old we are. So why are we traveling 12 and 15 hours for book signings? Because it’s part of who we are. Mom and I acknowledged Edgerton and one of our great cheerleaders, Verna Wortkoetter in our last book. 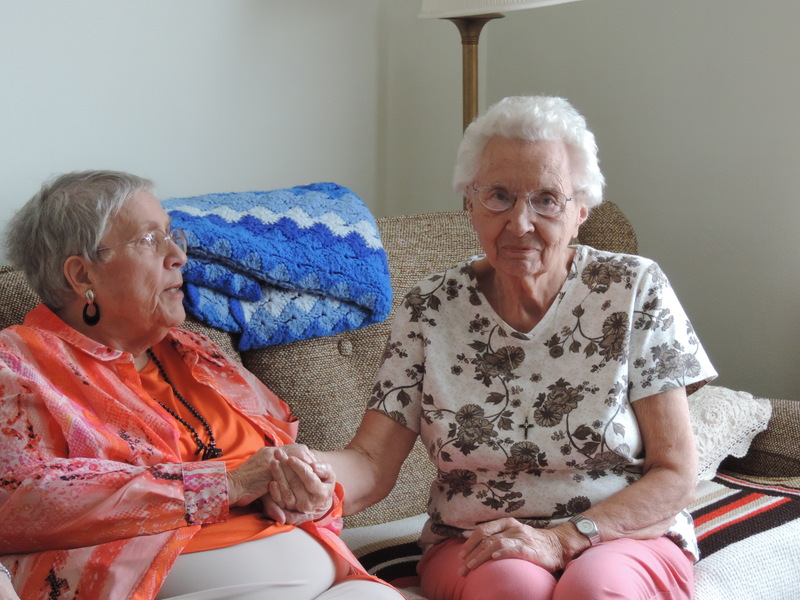 Mom and Verna developed a relationship early in the years when we first moved to Edgerton. 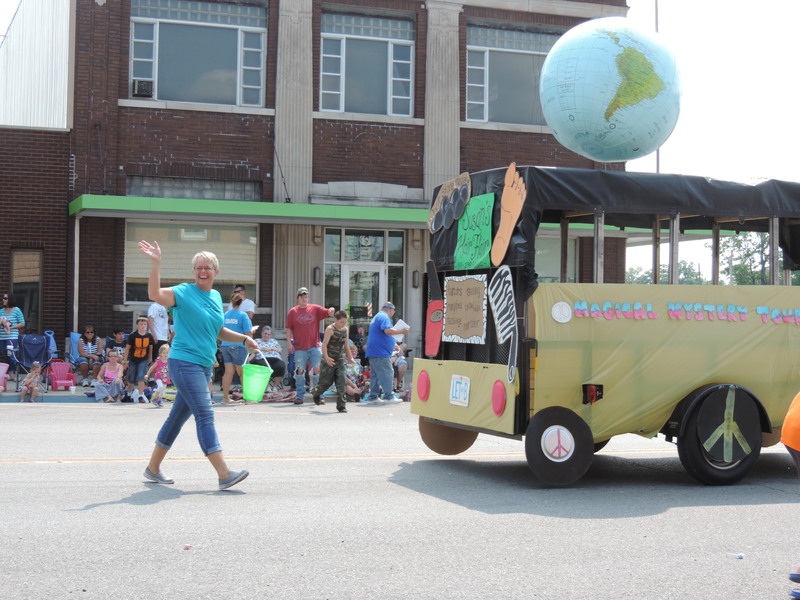 Verna showed mom quickly what the town was like when she made sure mom felt comfortable in Edgerton and knew that if the Swopes needed help in any way, the Wortkoetters were there. I still feel thrilled when Verna’s daughter Jane Jacobs, who I became close to growing up, announces another grandchild. And I still go through the Edgerton Earth each week looking for the names of the families we knew. And we all try to stay in touch. I’ve learned that Facebook’s greatest strength is that it allows people to maintain links with their past, and it has been a great tool for the Swopes. Several of my high school buddies pop up almost every day and when I read about their lives, it reconnects me with who I am. It’s a long way back to Edgerton. Not only in miles, but in years. But I’m very much looking forward to the trip. Writing and Crafting (with a dash of wine when necessary). Love stories from the crossroad of small town and suspense.